Obligatory 4th of July post…check! 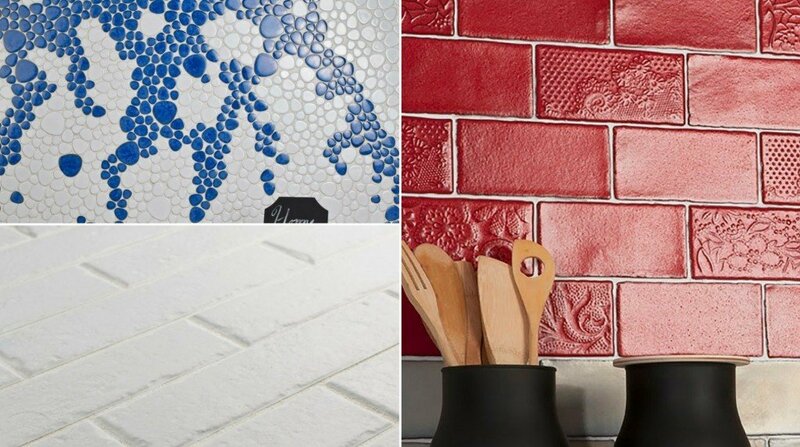 We hope you have a great 4th of July and if you happen to be looking for some patriotic backsplash tile as you celebrate the original Brexit well…. look no further. Bold, vintage and oh so very red! These embossed floral subway tiles feature uneven edges for a handmade look. There are up to four varieties of unique floral and lace patterns for endless design possibilities. The unique coloring, which features variations of vibrant crimson red with brown around the edges, creates a rustic look. These satin tiles feature a bisque finish that shows the red ceramic on the raised pattern. The reactive glaze on this tile makes every piece unique, so you will never have two that are exactly the same. 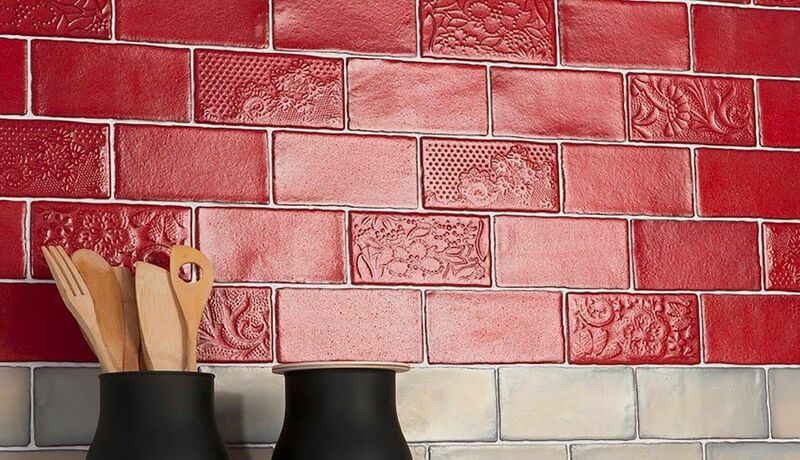 If red really isn’t your color you can find these tiles in other colors as well. Modern, subdued but with lots of character. This is the perfect back drop for a dramatic counter top or cabinetry. 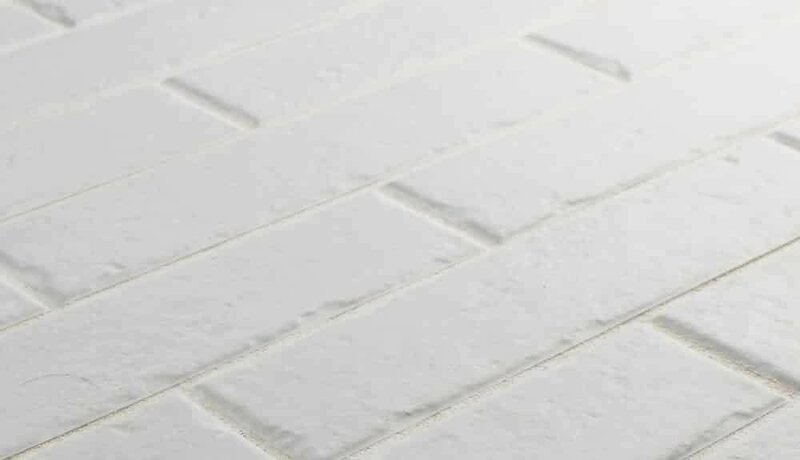 Featuring natural bumps and grooves, this tile mimics the rough nature of brick. This white tile has a unique matte glaze that plays off the irregularity of the bumps to create a beautifully unique installation. The unique ability to arrange this tile in any number of ways makes this product a versatile option for any design. This floor or wall tile is great for a variety of interior and exterior installations that need a touch of modern flair. Be sure to check out the rest of the coordinating Brooklyn series for a range of mix and match options. 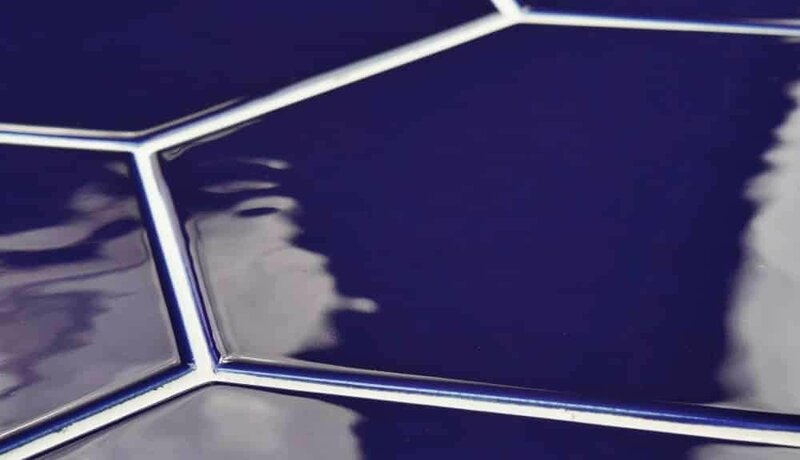 This hexagonal tile is perfect for any setting, traditional enough for historical renovations or modern enough for new construction. 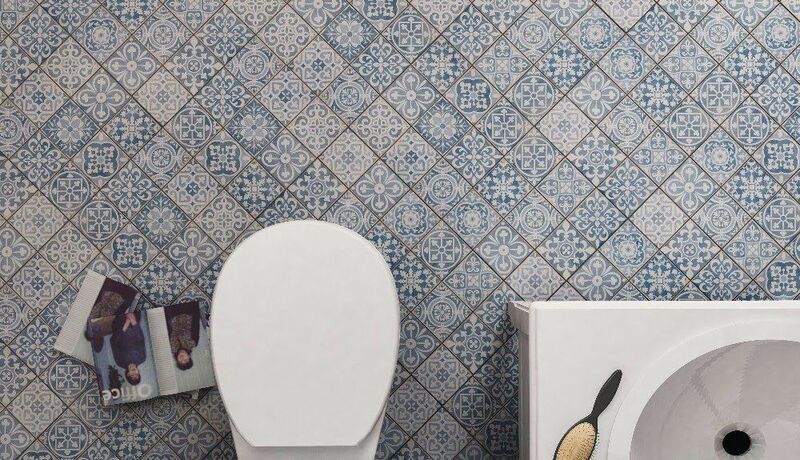 Easy to clean and versatile, these vibrant cobalt tiles are great for any wall installation. These vitreous tiles have a glazed finish, making them ideal for backsplashes and shower walls. We’re putting this tile in our new showroom! 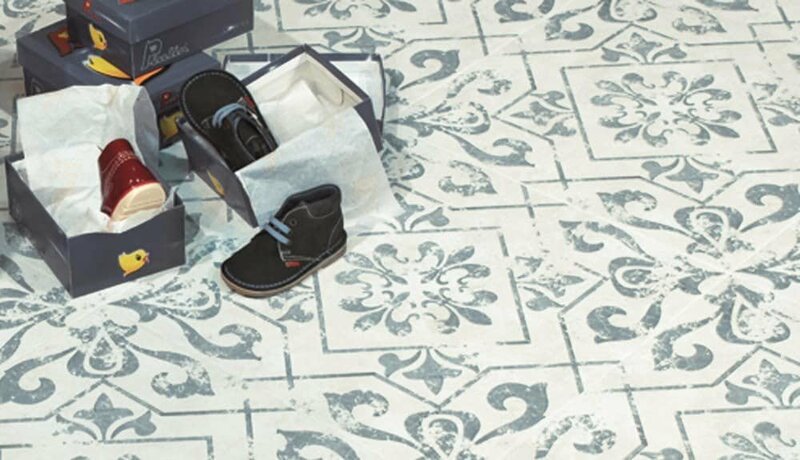 Vintage European design was the inspiration behind the SomerTile Lotto Cobalto 17-3/4 in. x 17-3/4 in. Ceramic Floor and Wall Tile with a crackling cream surface. Slate blue lines diagonally intersect, creating sharp angles and offset framing patterns. Set within the center diamond are four fleur-de-lis configurations, creating an appealing, elegant centered design. Flourishing patterns in the four corners further express its encaustic inspiration. All of these patterns are distressed, convincing that this tile is truly aged. The matte glaze further convinces that this is an age-old tile. This durable tile is suitable for most interior installations, including kitchens, bathrooms, foyers and showers. 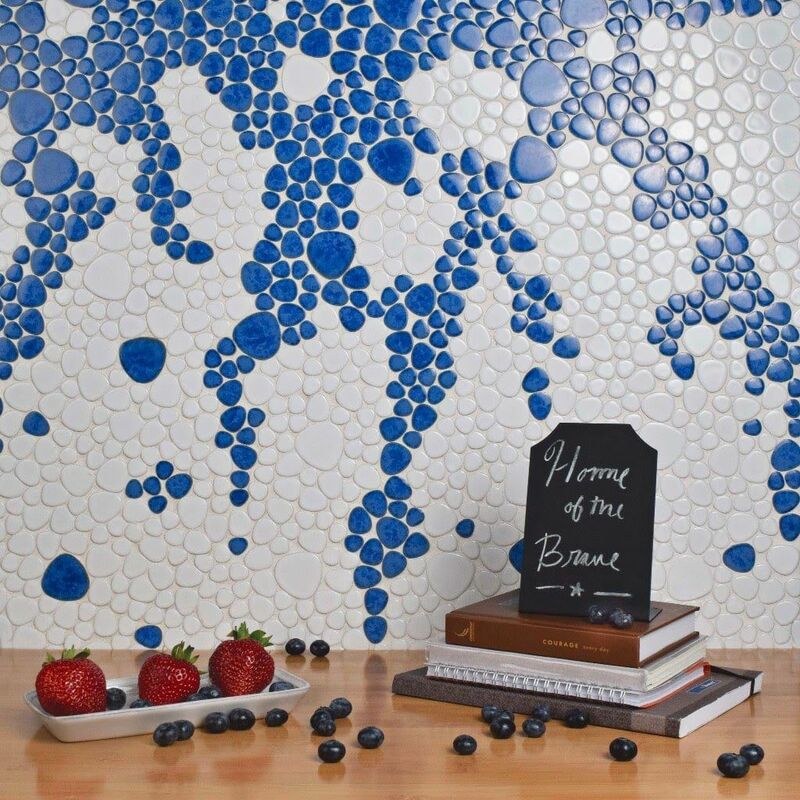 It is easy to picture sun-drenched streets of Spain when looking at the SomerTile Faenza Azul 13 in. x 13 in. Save time and labor spent arranging smaller square tiles and instead install these durable ceramic slabs, which have nine squares separated by scored grout lines. 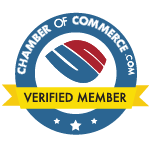 You could use this as a backsplash tile or maybe on a bathroom floor. This breathtaking blue glaze features a collection of encaustic-inspired designs. Imitations of the scuffs and spots that are the marks of well-loved, worn, century-old tile and the rich red tones peeking through are the perfect contrast to the faded shades of denim blue. These rustic scuffs and spots convince that this tile is truly aged. There are 3 different variations of scuffs and pattern arrangements available that are randomly scattered throughout each case, offering a sporadic patchwork look. Designed by interior architect and furniture designer Francisco Segarra, this tile is a true reflection of vintage industrial design. The scored grout lines can be grouted with the color of your choice or left ungrouted for a rugged finish. Bring rustic charm to your interior with this easy-to-maintain look. Hope you enjoyed! Have a happy 4th of July!